More than 1 year of natural curing process. 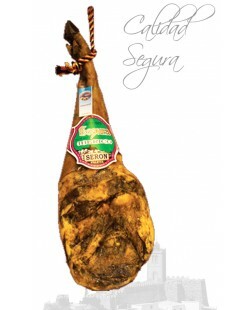 Delicious Iberian Shoulder cured in the Sierra de Los Filabres (Seron). This Iberian Shoulder has a natural cure for over 1 year. The unique conditions of this location and the process of healing craftsman give it a unique flavor that will delight you and your guests. It is got from a selection of Iberian pigs breeds. The Iberian Shoulder is obtained from salting and drying the Iberian pig hind legs . 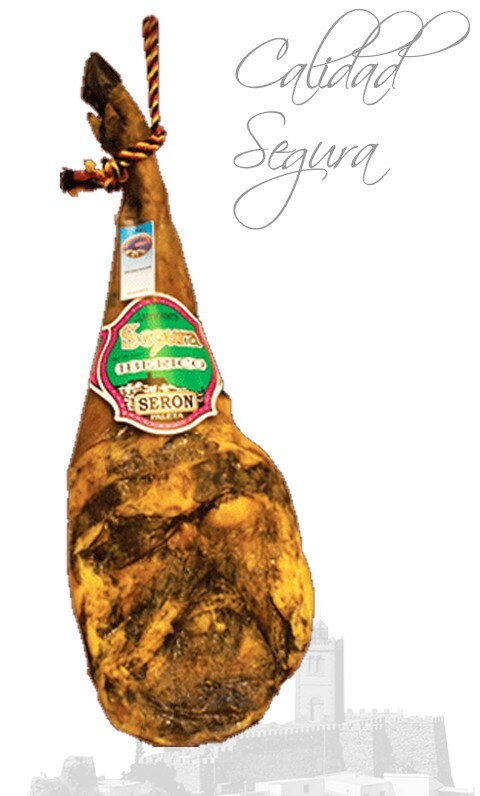 The back label accompanying this ham is part of ISO 22000, which certifies that the product meets the quality requirements contained in the specification that supports this standard. All this is cerverified by Independent Control Entities. Iberian pigs fed with natural feed made from cereals. The natural curing process takes place in the Natural Drying Sierra Filabres, particularly in the small town of Seron with more than one year of duration. The shoulder is delivered in a cardboard box, clearly identified and dressed in a white fabric lining that later you can use for conservation. Includes a cord to hang the piece.